Two centuries ago, this year, a single book created a whole new genre, that of what we now call science fiction. The book was Frankenstein, written by Mary Shelley, but it didn’t come out under her name at first. The idea of a book of horrific fiction written by a woman was considered outrageous at the time, and so it came out without her name attached. Five years later, her name was added to subsequent editions of the book. Even then, though, rumors that “a mere woman” hadn’t really written the book followed it and her. Unlike most other horror stories, Frankenstein was not based on fantasy or folklore. It was based on the abuses of science, and the creation of an alien creature. In Shelley’s novel, the doctor’s creature was intelligent and well-spoken, not like the wordless monster of many of later adaptations. Still, it was alien in intent and in actions. The novel got a mixed reception, as not everyone viewed the strange story favorably. Sir Walter Scott liked it, and commented on its behalf. Others hated it, and the arguments perhaps led to those in between reading the story. 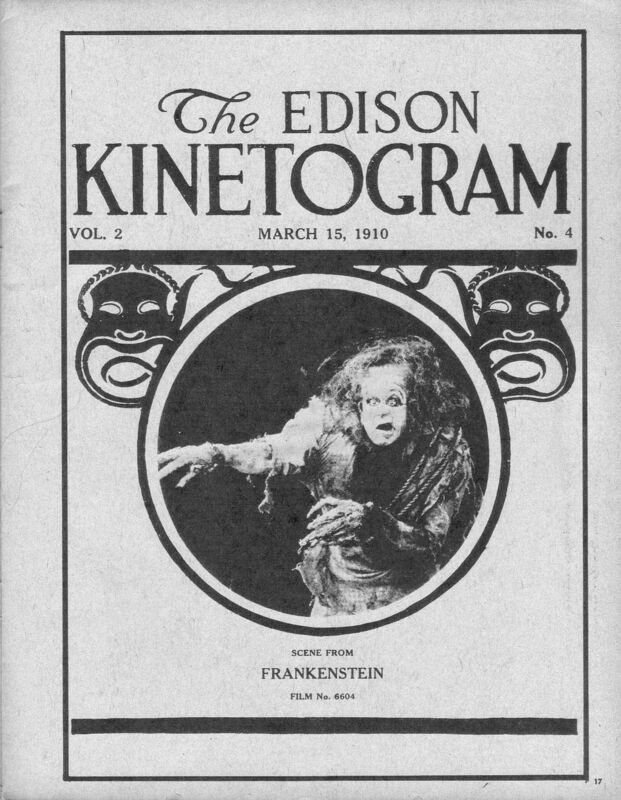 Frankenstein’s creature got radically altered to fit the medium in which the story was retold. There have been radio, television, film, comic book and audio book versions of Frankenstein, but in each one the creature created by Dr. Frankenstein is different, often in major ways. For example, in the 1930s the film version was an unspeaking brute, capable of unthinking violence. By the 1940s, there was a comic book version where the creature was played for laughs, perhaps a forerunner of the Herman Munster character on television in the 1960s. There was even a robot, crime-fighting version of the creature on an animated children’s TV show. There have been many movie versions of Frankenstein. The earliest that still survives was made by Thomas Edison’s film company in 1910. It wasn’t great, even by the standards of that time, and it tries to tell a version of the story in only twelve minutes. That’s a tenth of the length of a common movie in today’s theaters, and it changed the plot in ways that made it easier to film. It is the 1930s Universal Pictures version that most people remember, and it is that version that influenced writers, artists, and filmmakers afterward. Boris Karloff sat in a makeup artist’s chair for four hours each day of the filming of the three Frankenstein movies in which he played the monster. Eventually, Karloff and the makeup artists realized this was too much. 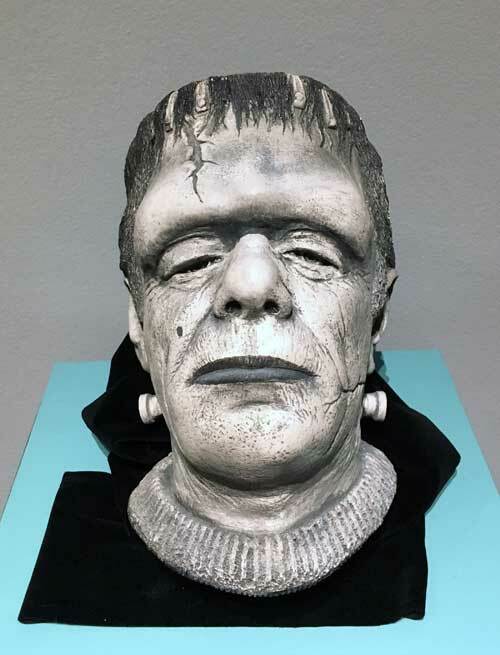 Other actors were tried, but it was cowboy actor Glenn Strange who became “the monster” for three films, including the outstanding House of Frankenstein, in which Karloff played Dr. Frankenstein. A much bigger man than Karloff, it was easier to turn Strange into an inhuman creature, and the change left Karloff artistic room to perform other types of roles. Glenn Strange went back to westerns, ending his career as the bartender on the TV show, Gunsmoke. Karloff, though, was remembered for the rest of his life as Frankenstein’s monster. Smith is the curator of the exhibition Dreaming the Universe: The Intersection of Science, Fiction, & Southern California, which is on view March 3 through September 2, 2018.